Believe it or not, house fires are more common during the winter than they are any other time of year. In winter, we are more likely to spend time inside to avoid the cold. Then, add in the several holidays that occur during winter – we spend a lot more time inadvertently doing things that increase the risk of fire. Now, that doesn’t mean you should sit at home in the dark and not enjoy your home. That would be ridiculous! But a few preventative measures could mean the difference between disaster and an enjoyable holiday season. Read on for the most common causes of house fires and call ServiceMaster Absolute if you need fire damage restoration in Corona. It shouldn’t be surprising that candles are one of the major causes of house fires – after all, they are on fire themselves! By and large, house fires started by candles happened because of carelessness. Light that amazing cinnamon scented candle to make your house smell like Christmas, but be careful about where you place it! Keep your candles away from curtains, tablecloths, and other fabric. 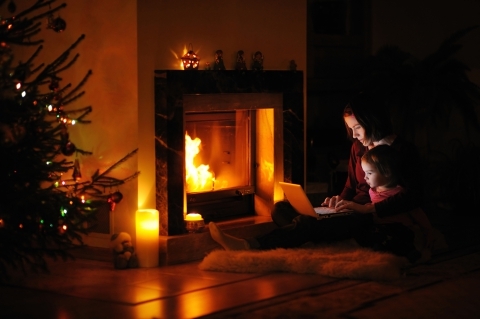 If you want to place candles in the windows for a festive holiday feel, use the battery-powered LED variety instead of real flames. When winter hits, most of us power up the heat without even thinking about it. Electrical wiring issues, blocked chimney flues, and heating utility issues cause many fires each winter. Get your heating and/or fireplace serviced before the winter hits so you know it’s in good working condition. All that delicious holiday cooking is wonderful; your family will be forever grateful if you keep going! However, as cooking fires are another predominant cause of house fires, exercise some caution. Don’t leave cooking food unattended – a spillover on the stove or too much heat in the oven can cause food to burn, spill over, and catch fire. If you’re trying something new in the kitchen this holiday season, be sure to read the process carefully to minimize risk of trouble. If you’re planning on using a fryer, be sure there is no water; water in boiling oil causes spillover which can lead to something nearby catching fire. 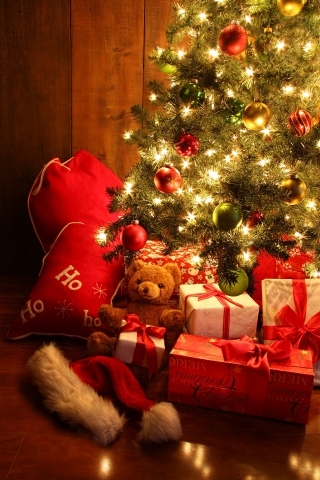 We know how much a live tree truly makes it feel and smell like Christmas in your home. However, because live trees dry out and are generally wrapped with hot lights, trees can be a cause of house fires. In order to prevent issues, keep your tree well watered (and try to keep your dog from emptying the reservoir). Turn off the lights before going to bed and anytime no one is home; also, invest in modern LED lights which don’t get nearly as warm as the old incandescent sets. This winter, don’t let your house become a statistic. With a bit of caution, you can enjoy all the things you love during the holidays and protect your home from house fires. If the worst does happen, call ServiceMaster Absolute for fire damage removal to get the smoke and fire damage cleaned up quickly!